Growing and preserving high quality forage is central to the success of an innovative Yorkshire enterprise rearing and finishing Wagyu beef. When Jonathan Shepherd was faced with redundancy and the sale of the herd he had managed for over 10 years, he confronted his disappointment, seized the opportunity and planned how he’d build a business to safeguard his family’s future. And so it was that after the sale of the herd on the Warter Estate near Driffield in East Yorkshire in 2008, Mr Shepherd began the process of transforming himself from manager to owner, starting with just 25 cows, which were purchased with the commission he made by sourcing cattle for buyers at the dispersal, and building a farming business. Today, less than seven years after the sale, his business runs from nine different premises totalling around 600 acres (243ha) across the Yorkshire Wolds and not only comprises a suckler herd of 200 head and a dairy calf-rearing business, but also includes an embryonic herd of full-blood Wagyu cattle and one of the UK’s largest rearing and finishing enterprises of Wagyu beef. Late last year he played a pivotal role in launching the Wagyu Beef Association in the UK and his Wagyu beef can already be found on supermarket shelves. Next month he launches his own Wagyu website, branded the Yorkshire Wagyu Company, one of the earliest to market Wagyu beef direct to the UK consumer. Reaching this point has been a step-by-step process, starting with modest beginnings, building a solid base, and requiring plenty of vision and foresight along the way. “I started with suckler beef production as I could see the advantages. Although they don’t generate a huge amount of income, they have the ability to create an asset base. “I think that’s underrated and as a tenant farmer, the first thing my accountant asks me is ‘what is the value of your cattle’, as this can be used as collateral for running the business. Once the two core components of the business were up and running, the next idea to be hatched was to bring Wagyu beef into the mix. With links to local dairy farms already established and a deep-rooted knowledge of beef production, the idea of sourcing and finishing a Wagyu/dairy cross seemed a logical progression. Underlying Mr Shepherd’s enthusiasm to branch into Wagyu was his concern that the mainstream beef industry was providing a highly variable product to a declining market. Having discussed the Wagyu business with both ‘a retailer and a processor’, he became convinced of the consistently superior eating experience that could be achieved from the Wagyu/dairy cross. To most people’s surprise he says the Wagyu ‘just clicks’ with the dairy breeds, producing a succulent, buttery type of beef which is increasingly prized and is sold at a premium by restaurants and retailers. However, he says producers have to acclimatise to poorer carcase grades. Acquiring his first Wagyu stock via embryos from Australia where he believes the breed has made its greatest genetic progress, he is developing his own nucleus herd of full-blood females and has breeding sires in AI. 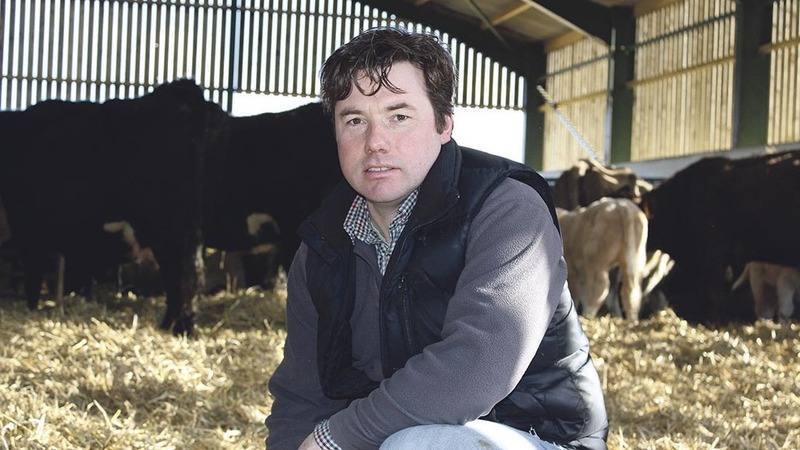 Contracting dairy farmers in the area to use his bloodlines and return the cross-bred calves to his various rearing units in the Driffield area, he has now built up numbers to around 1,500 head. “I have just gathered up grasses and shed tenancies to accommodate cattle and grow their feed wherever I can, describing, for example, the tenancy at Field House Farm near Tibthorpe, at the centre of his operation, initially comprising just 13 acres and 20,000 square feet of buildings, although this has since been expanded. On this land he has become adept at growing high quality cattle feed, producing 150 acres (61ha) of grass, 160 acres (65ha) of lucerne, 110 acres (45ha) of maize, with the remainder used for grazing. To this end, he has sought to make the most consistent and stable silage he can and, in consultation with forage preservation specialists, Kelvin Cave, he has opted to use a silage preservative rather than a more traditional additive or bacterial inoculant. Mr Shepherd says: “I considered a variety of options, and finally opted for this one. Although it’s more expensive I can see the benefits. We have quite a wide clamp face which takes about five days to cross and the last thing we need is deterioration at the face. “If you go to the effort of making high quality silage you have to make sure it is stable. Using his forages in a total mixed ration, which has been carefully formulated with bespoke minerals for each stage of growth (see table), he is delighted with the Wagyus’ performance and their finishing weights despite the slightly lower growth rates which are inevitable with the breed. 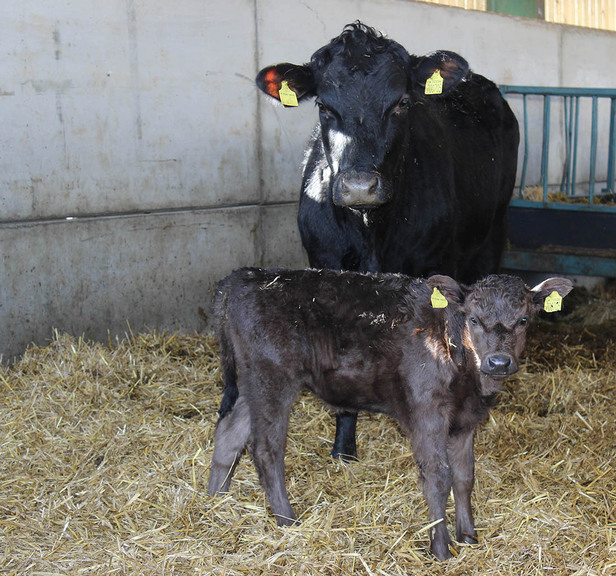 “Now my job is to convince more farmers to supply Wagyu cross calves and to get out into the market and sell the product. Selling to restaurants is a big part of the plan, and we will offer a box scheme through the website and there’ll be catering trailers and a gourmet burger van at shows and events this year. In Japan he says the Wagyu is a national treasure; maybe one day it could gain the same revered status here in the UK.